Everything nice and clean. Staff was very nice and helpful. Das Hotel hat eine angenehme sportliche Atmosphäre. Obwohl es All inkl. Gäste gibt, spürt man nicht diese typische all inkl. Atmosphäre. Es riecht nicht überall nach Alkohol und Essen....und die Räume sind nicht übergroß, so dass man sich nicht wie in einer Mensa fühlt. Das Personal war an der Rezeption, im Restaurant und im Reinigungsservice-Bereich SEHR SEHR freundlich :) Wir haben uns an zwei Tagen Fahrräder für 8€ pro Tag geliehen und konnten blitzschnell zum NaturparkAlbufera oder an die wunderschönen Strände oder die Altstadt gelangen. Unos días estupendos con los peques, habitaciones muy bien para niños y todo perfecto. Las habitaciones eran muy comodas. El personal muy muy atento, en atencion un 10. Teniamos incluido desayuno y cena, pero en la cena la bebida va aparte. Los horarios del buffet un poco restringidos y decir que es un resort destinado a los ingleses. Kamer met zeer mooi groot terras en prachtig uitzicht. Vriendelijk personeel, zeer tof annimatieteam met veel sportfaciliteiten en supervriendelijke (belgische) sportminotors ! Lock in a great price for Viva Eden Lago - All Inclusive – rated 8.8 by recent guests! 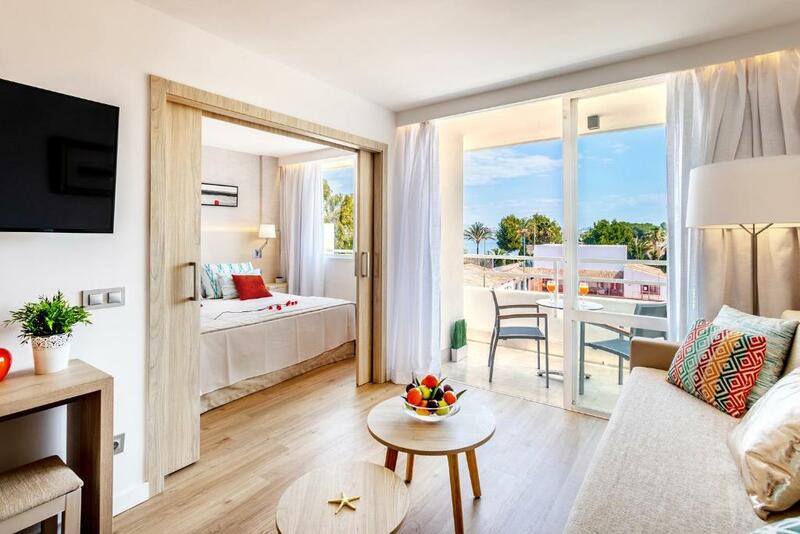 Viva Eden Lago - All Inclusive This rating is a reflection of how the property compares to the industry standard when it comes to price, facilities and services available. It's based on a self-evaluation by the property. Use this rating to help choose your stay! 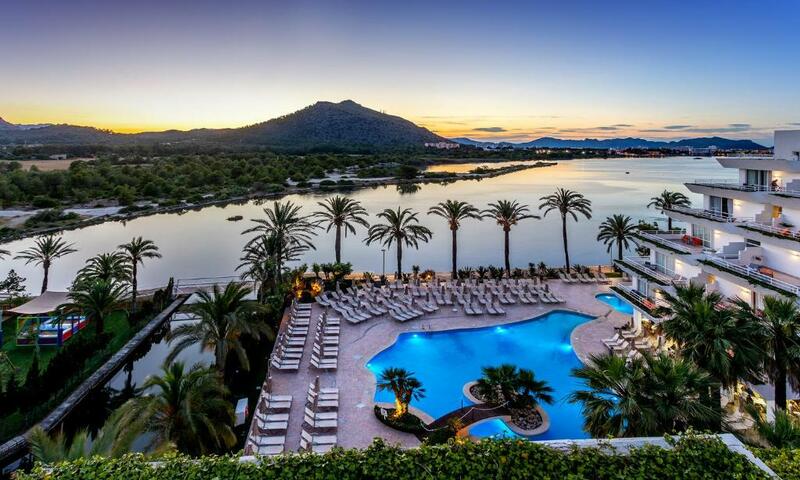 The Eden Lago’s setting just 1,000 feet from the beach on Majorca’s Alcudia Bay makes it an ideal spot for a relaxing vacation in the sun. 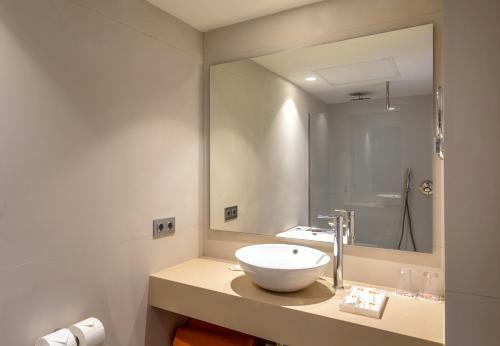 The apartment-style hotel’s facilities also allow you to make the most of the island’s amazing climate, with an outdoor swimming pool and terraces surrounded by lush grounds. 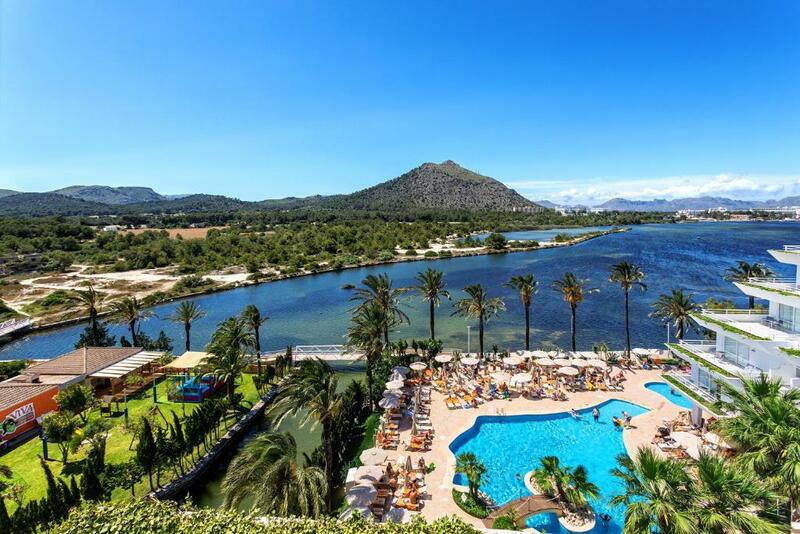 You can also enjoy the tranquility offered by the nearby S’Albufera Nature Park and the historic seaside city of Alcudia. When would you like to stay at Viva Eden Lago - All Inclusive? This apartment features a kitchen, kitchenware and stovetop. This studio has a dining area, balcony and kitchenware. This studio has a kitchenware, stovetop and dining area. This apartment features a kitchenware, air conditioning and balcony. 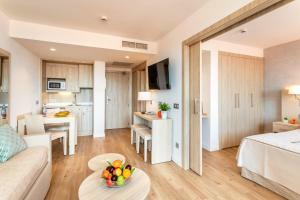 House Rules Viva Eden Lago - All Inclusive takes special requests – add in the next step! 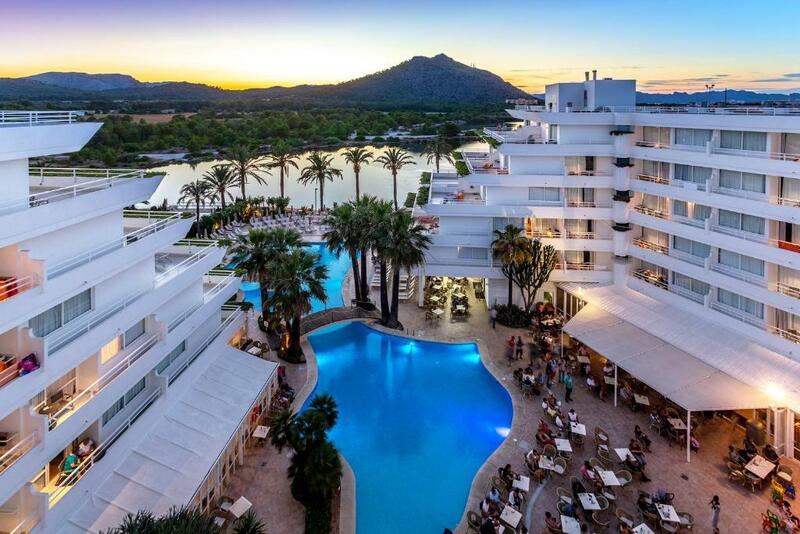 Viva Eden Lago - All Inclusive accepts these cards and reserves the right to temporarily hold an amount prior to arrival. I didn't like where our room was in the building. The view was of the inner area of the hotel grounds. I didn't feel right to complain as the room itself was lovely, but I wouldn't want to stay in that room again. We would have preferred a room with a view. Also, the balcony got no sun at all, so drying towels and wet clothes was impossible. I also didn't like that we had 2 separate beds, which were pushed together. Again, we could have complained about this, but as I hadn't specified this, I didn't feel we should. The most impressive part of my stay, was the staff. Every single one was friendly and super helpful. All of them seemed happy to be there despite what seemed like very long hours. In particular, Boyan (bar tender), was friendly, efficient, remembered our orders, never seemed to stand still, was always proactively serving or clearing tables. Angelika in the restaurant was very friendly, always smiling and working hard. Jose in the bar was fantastic too, great service, never standing still, always helpful. The ladies at Reception were very good at providing information and actually did more than needed, eg printing bus timetables for us, etc. We were really impressed with them. Juan (chef) was friendly and made some delicious omelettes with a smile in the mornings. The food was absolutely delicious. We loved the variety and as a pescatarian, I felt there was always enough vegetables, fish and fruit available. The desserts were also superb. While the vegetarian counter was very well signed, I would suggest that the paellas confirm whether they have meat in them. That would be helpful for people who don't eat red meat. This wasn't an issue though, as the chefs were always happy to answer questions. Pastelito 3 chocolates - favorit .